FIT CHICK PICKS :: the top 5. - Terry Peloton. 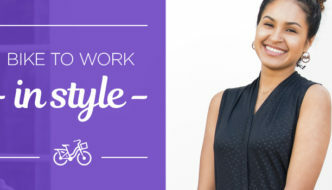 You are here: Home / Sidesaddle Blog / Brooklyn Fit Chick / FIT CHICK PICKS :: the top 5. 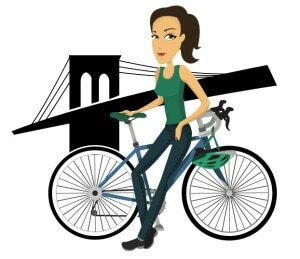 Brooklyn Fit Chick here and the East Coast weather is finally starting behave which means I can start going on my all-day rides once again. (Huzzah!) My personal favorite day trip runs from Prospect Park to For Tilden Beach and requires generous amounts of sun block and an iPod full of motivating tunes. Being a Terry Fitness Ambassador has some pretty sweet perks such as getting to try out their new gear and let you all know what I think. So today I wanted to let you all know about my favorite gear sold by Terry and where you can find it on their site—you’re welcome! This is hands down the most comfortable saddle I have ever ridden in my life and can NOT wait to get this on the road for my first century ride of the season. 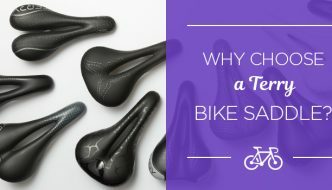 Women ride the seat differently than men and Terry Saddles are created with the comfort of females in mind. If you plan on going on out for 3+ hours at a time on average—this is the best gear to invest in. As I previously stated—the weather on the East Coast has been very up and down. Yesterday for example (as I type this) it was 86 degrees and humid while today it is in the mid-60s and cloudy. (This makes my sinuses very unhappy, by the way.) Each day I leave my home to go for a ride I am not sure how the day will turn out but this Gore Bike Wear windbreaker is very dependable. It repels water and wind and feels so light that it won’t weigh you down. Also, it’s light enough to throw into a backpack if it starts to get too hot. Perfect for early morning/evening jaunts when the temperature is unpredictable. I am saving up to get this tank next because it is so adorable and I know I can wear it with jeans, shorts or a skirt. Who says you can’t be fashionable while on the road? Not me! Terry offers several tank styles each summer and I have been happy with everyone I have ever bought. That’s all for me this month. Next time I will talk about riding in super-high temps & humidity. 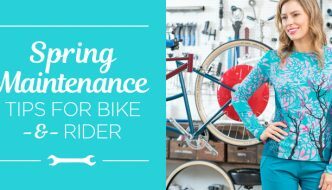 In the meantime—be sure to enjoy your rides!